And a great subject for an ebook! 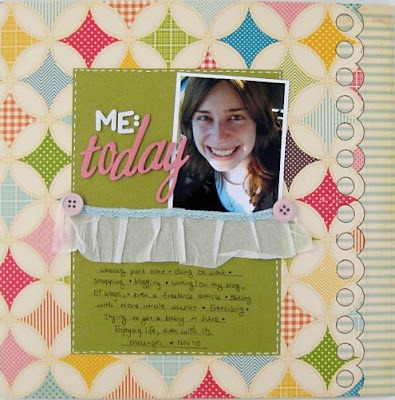 LOVE this Layout Keshet, that is a difficult PP to use but it works so well with the green cardstock to centre everything. And that MME tissue paper is so yummy! Love this topic too, I haven't done a page like this in a while, thanks for prompting me! Gorgeous picture of you as well. Fabulous! Hope you are having loads of fun my friend! Thanks for the chance at the book! Great Layout! 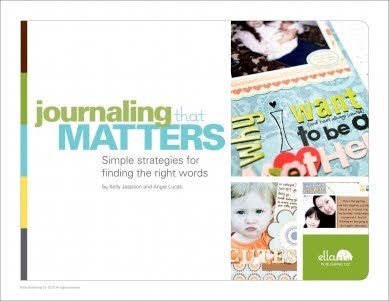 I am enjoying the Ella blog hop! Thanks for the chance at the e-book! Oooh I think I *need* this e-book! Thanks for the chance to win. I've been visiting your blog for a little while now . . . first time commenting! Play online casinos with fun and money fun slots and always Fun money, take while there.